Current Buffalo Bills defensive end and player and Grandview High School alum Eddie Yarbrough surprised Special Olympics athlete Chaz Moss with a trip to New York to watch a game. They've been friends since Yarbough volunteered with the organization in high school. AURORA — For three weeks during the NFL season, players get to wear special shoes as part of the annual "My Cause, My Cleats" campaign. 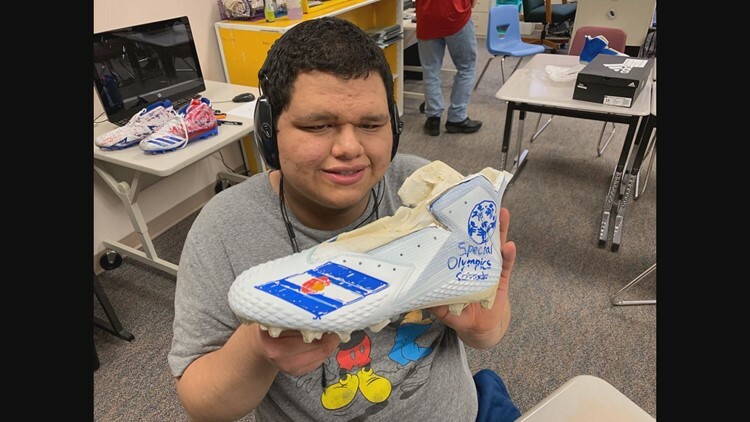 The players' shoes can feature causes that are important to them, and this year, several Special Olympics Colorado athletes and students at Grandview High School in Aurora helped out. Chaz Moss was one of those athletes. "He's won gold medals in swimming, bocce, tennis, volleyball, basketball, flag football,” said Moss's mom Shirlee Turner. Turner enrolled Moss in Special Olympics when he was 8 years old. "Nobody would know that Chaz was this little quiet shy person until he really got involved with Special Olympics and now you can't control him," she said. Special Olympics is also where Moss was able to meet lifelong friends, like Eddie Yarbrough, who is now a defensive end for the Buffalo Bills. Yarbrough volunteered with Special Olympics Colorado when he was a senior at Grandview High School in 2011. Yarbrough and Moss have been friends ever since. 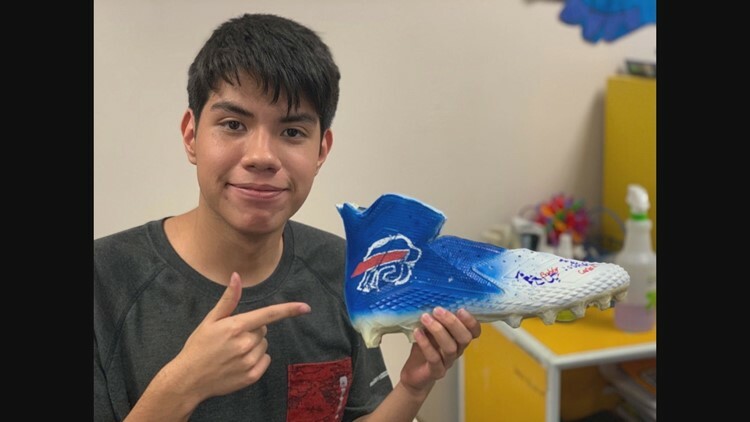 He asked several athletes to design his cleats to represent Special Olympics. Of course, Moss loved them, but this week Yarbough had another surprise for him. "Would you like to come to the game Sunday?" he asked Moss. "It's been incredibly difficult to try to keep everything under wraps,” she said. This Sunday in New York, Yarbrough will wear the cleats the athletes designed and Moss will be there in person to see it all. Moss is now a student at Metro State University and won gold at the Special Olympics USA Games. He is also Special Olympics Male Athlete of the month.